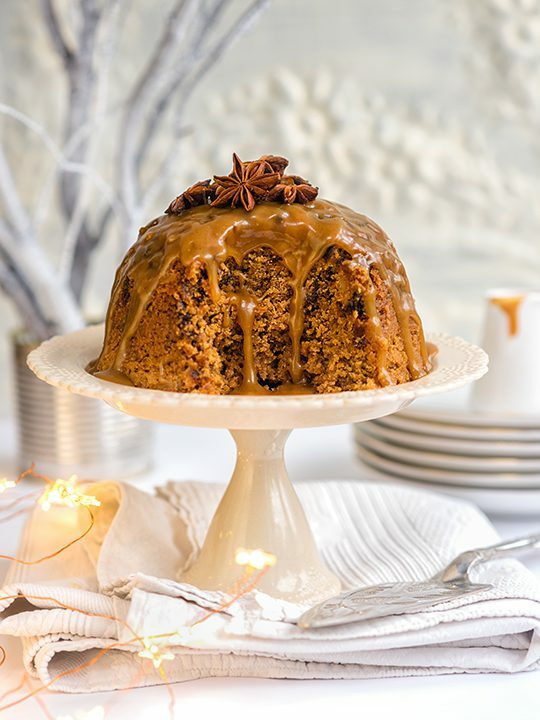 This delicious steamed pudding is so easy to throw together and full of seasonal spices. The final cooking is done in a slow cooker so any worries about boiling the pan dry are averted. And you get to put your slow-cooker to a novel use! Serve warm drizzled with toffee brandy sauce. Put the chopped dates and ginger in a bowl and mix with the orange juice. Set aside. 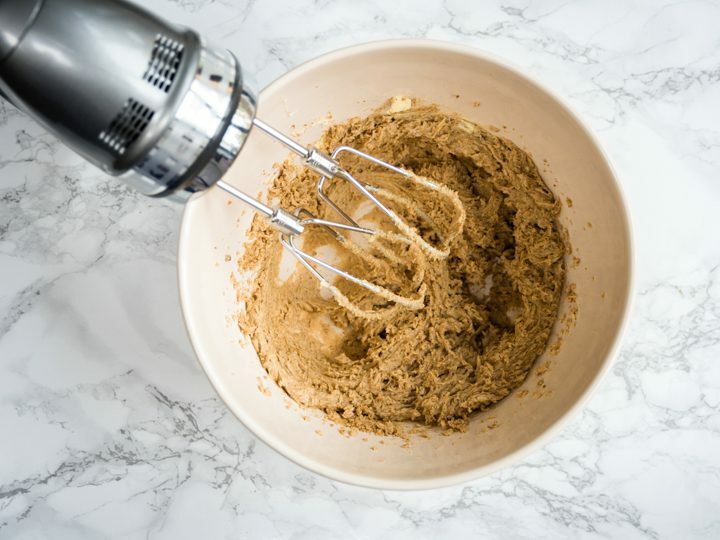 Then beat the butter, sugar and spices in a large bowl (or your stand mixer) until pale and creamy. 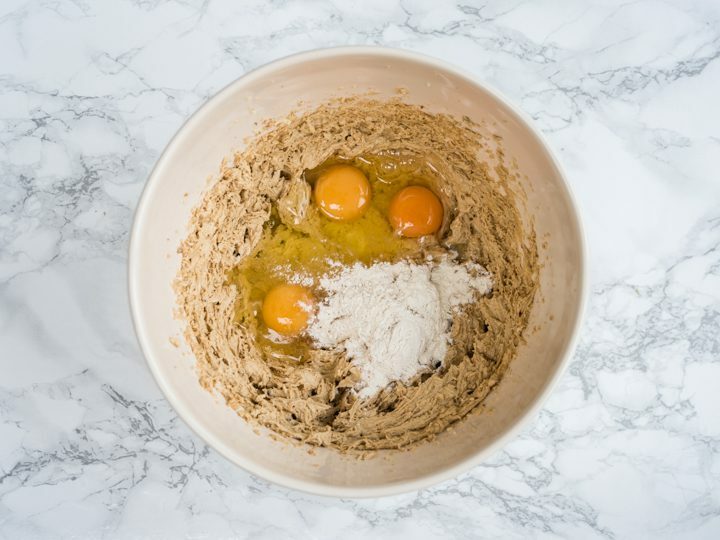 Add the eggs and a tablespoon of the flour and beat until incorporated. 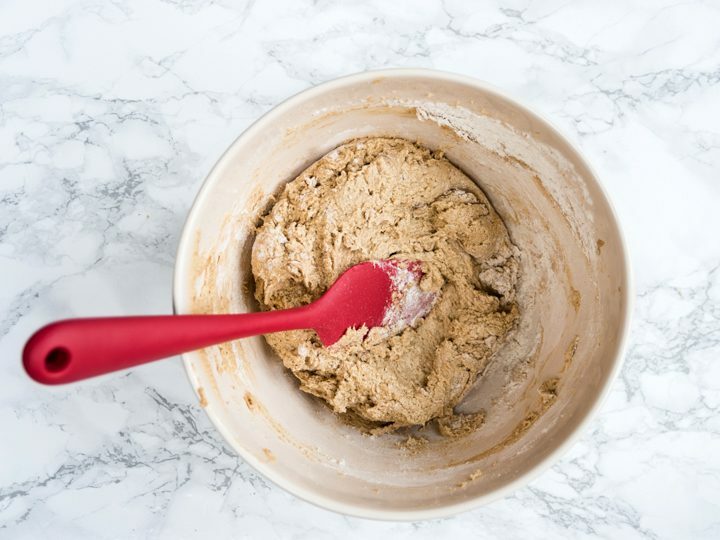 Add the flour and mix it in using a spoon. 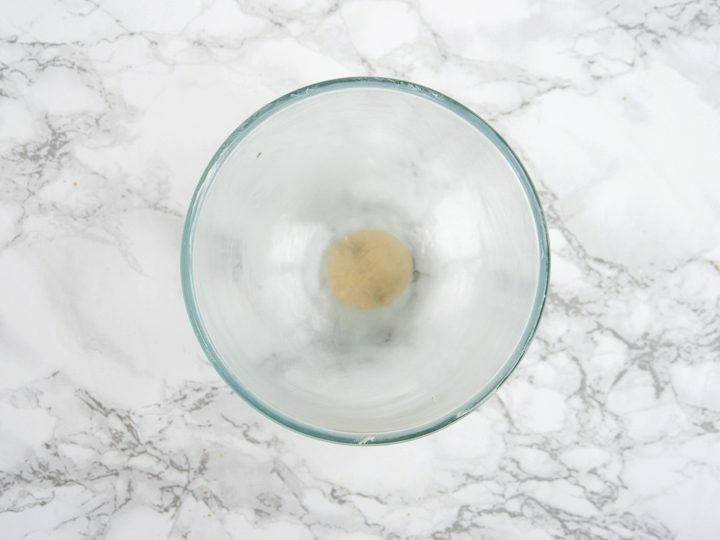 Scrape the bottom and sides of the bowl to make sure it is thoroughly mixed in. Fold in the dates, ginger and orange zest until you have a smooth batter. Thoroughly grease a 1.2lt pudding steamer or Pyrex glass bowl with butter. Cut a small circle of greaseproof paper to cover the base. Spoon the batter into the prepared bowl to fill almost to the top and level. 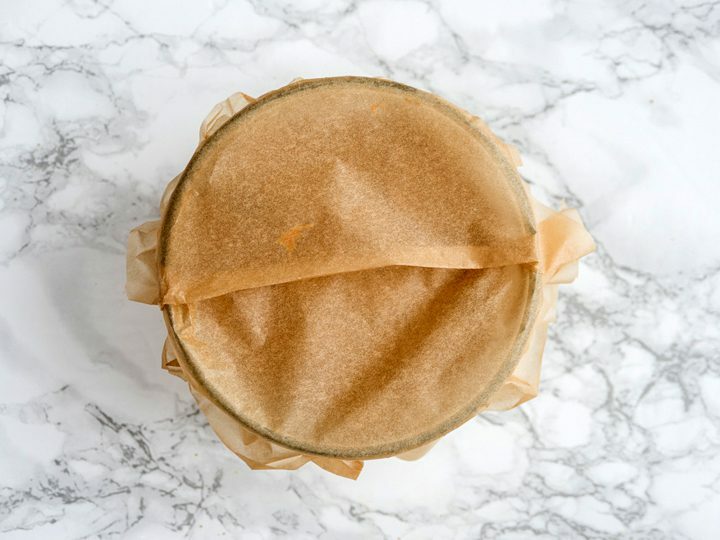 Cut a circle of greaseproof paper large enough to cover the pudding bowl and make a pleat in the centre. Place the pleat centred over the top of the bowl and secure with a rubber band. Lay a large piece of foil on your worktop and place the bowl in the centre. 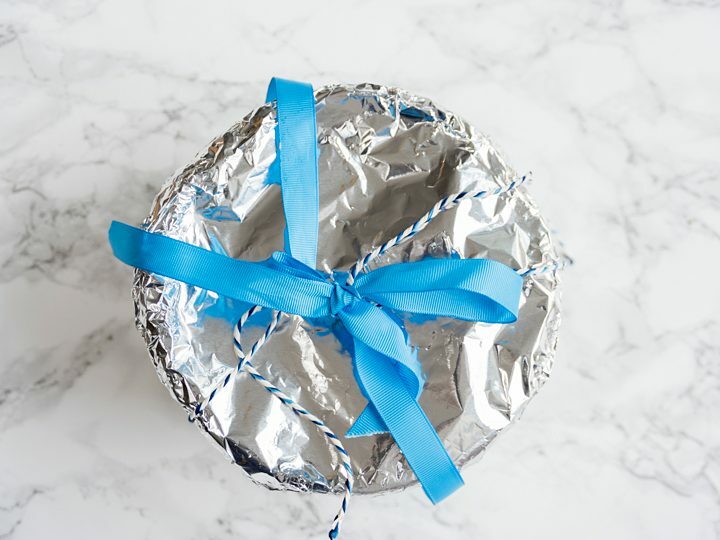 Fold the foil upwards to cover the pudding bowl and add a second layer. Place a long piece of string on the pudding bowl; bring under the base, loop around and bring over the top to make a handle. Place a jar lid in the slow cooker and position the bowl on top. Carefully pour in enough boiling water to come up 2/3 of the way up the side of the bowl. Cook for 3 hours on high, adding a little more boiling water if needed. 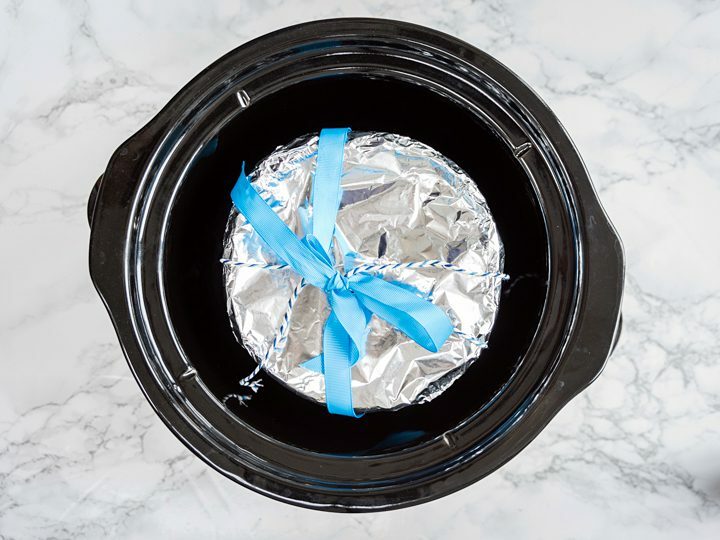 Remove the bowl from the slow cooker, unwrap and leave to stand for 5 minutes. 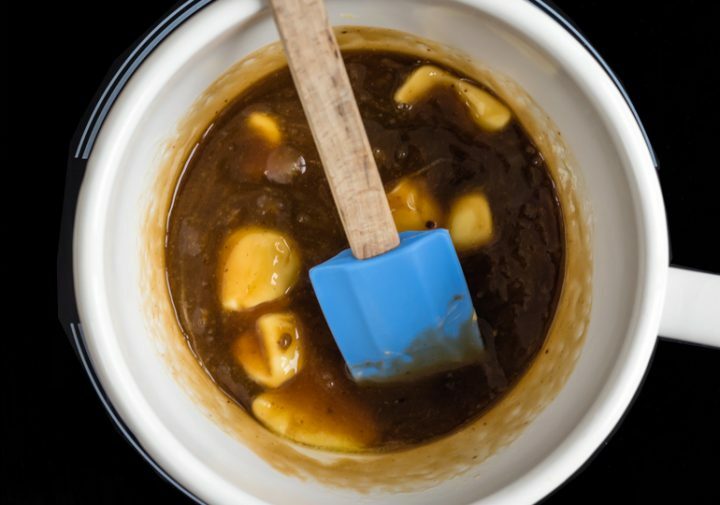 Make the toffee sauce. 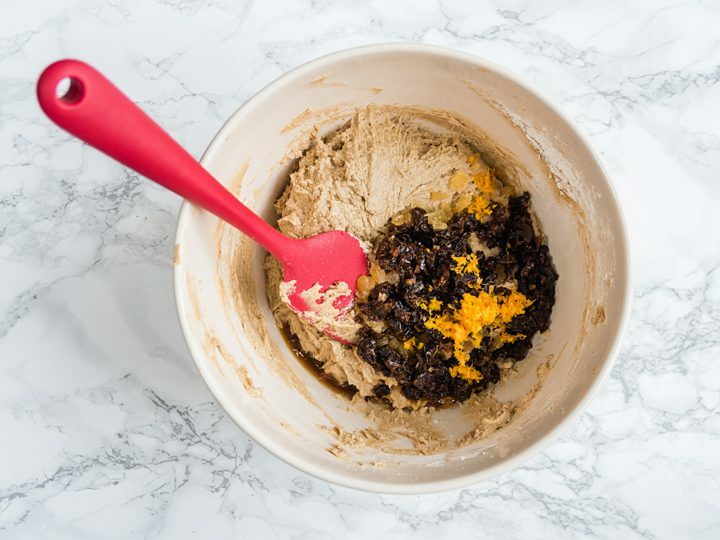 Put all the ingredients apart from the brandy in a small saucepan and stir over low heat until the butter has melted and the sugar has dissolved. Once the sauce is bubbling, add the brandy and cook for a minute or two until it is syrupy. Transfer to a small jug. The sauce will thicken as it cools - reheat in the microwave for a few seconds if needed. Carefully turn the pudding out onto a plate or cake stand. 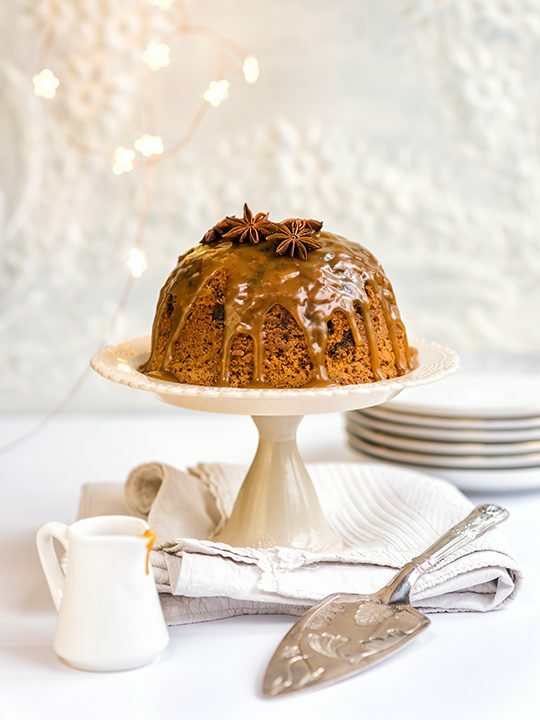 Spoon over the toffee sauce and decorate with star anise or a holly. 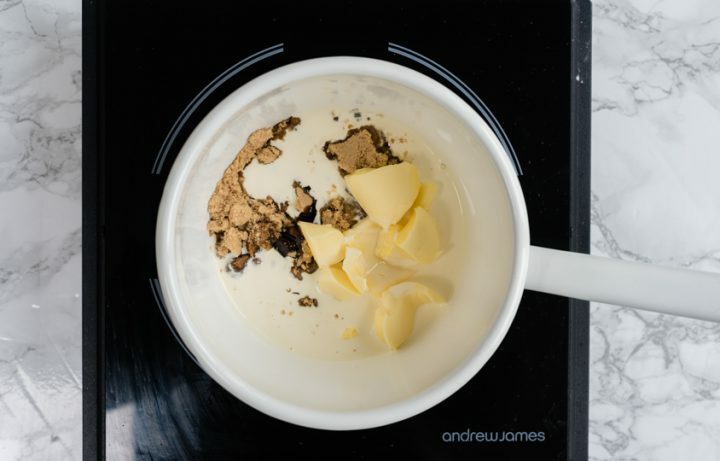 Hi I am Lucy – a London-based recipe developer, food photographer, coffee fanatic and cocktail appreciator. Welcome to Supergolden Bakes, so glad you have stopped by!